Legislative leaders warn that state revenues have slowed and pay raises for unions are not factored into the governor’s proposed budget. Gov. David Ige’s two-year budget proposal seeks additional money for every state department, with a special emphasis on education. He’s proposing spending $800 million for new schools and classrooms, for example, as well as repair and maintenance of existing K-12 and university campuses ($150 million) and public libraries ($10 million). The proposal includes $62 million in the fiscal year that begins next July for heat abatement in classrooms. “No one is more disappointed than I that we haven’t met our goals due to initial high costs,” Ige said Monday about the challenge of cooling school facilities. Gov. David Ige, right, arrives with Budget and Finance Director Wes Machida to announce the two-year biennium budget proposal. Ige says improving education is the only viable way to ensure that the state’s future will be in good hands — the hands of an educated population that will find innovative ways to create an economy that is less reliant on tourism. That’s in part why $10 million would be allocated for the Hawaii Strategic Development Corp.’s revolving fund. The state agency promotes economic development and economic diversification through an investment program in partnership with private capital. All told, the proposed operating budget totals $14.2 billion for fiscal year 2018 (an increase of 4 percent), which begins July 1, and $14.3 billion (an increase of 5 percent) for fiscal year 2019. The question for the leaders of the legislative committees that will consider the governor’s budget proposal is where the money will come from. Luke’s worry is that the state would be spending more than it is taking in. She noted that Ige’s current budget is $170 million over the amount that is expected to be brought into state coffers. 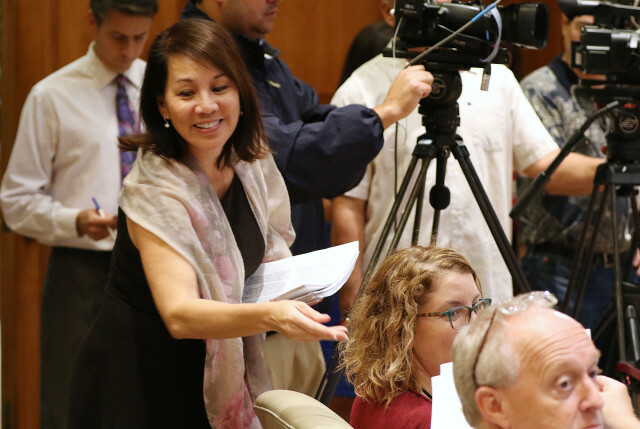 Sen. Jill Tokuda, chair of the Senate Ways and Means Committee, pointed out that over the summer many people were “sharpening their pencils” in anticipation of asking the Legislature for a piece of the $1 billion surplus that was expected to carry over into the new year. 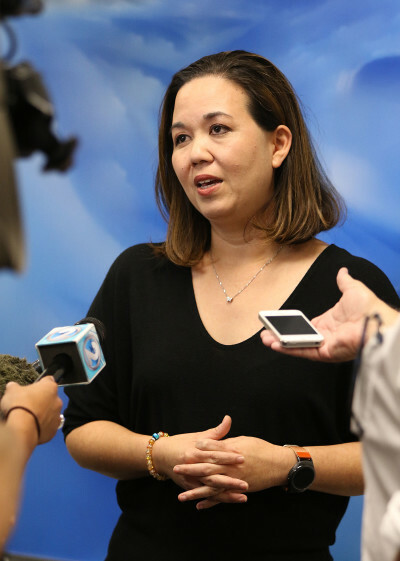 Senate Ways and Means Chair Jill Tokuda expressed concern that there is still a lot of financial uncertainty that will make it challenging for lawmakers to address the proposed budget. Both also said they were surprised that there has been no indication of providing pay raises for 14 units of the state’s public-sector unions whose contracts are up next year. Ige acknowledged that there are no pay raises identified in his budget. But he said his administration is working “to get a fair settlement with all of the unions” — the matter is currently in negotiations — while at the same time trying to balance the financial needs of the state and to invest in ways to grow the economy. Still, Luke said it was unwise for the governor to not have factored in pay hikes for labor costs. She said it puts the administration in “a difficult position that pretty much forces negotiations into arbitration” that would largely leave the administration out of the final equation. “I think it is foolish to think that there would be no raise,” said Luke. Tokuda called the missing dollar figure for employee raises “a large X-factor” that makes it difficult for legislators to accommodate other expenses. Tokuda said it would be difficult for her colleagues to accept a “zero-zero solution” when it comes to wages. She said she expected that the administration was probably considering “different possibilities” for collective bargaining, and she said she expected the Legislature to eventually be in the loop. Luke estimated that a 1 percent raise over two years would amount to as much as $100 million from the general fund, while a 4 percent hike would mean as much as $400 million. 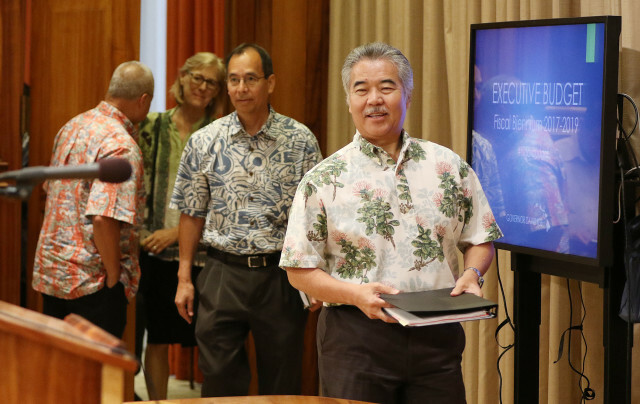 Ige emphasized the positive at his news conference. He noted that the state had enjoyed five years of record revenues from the visitor industry. 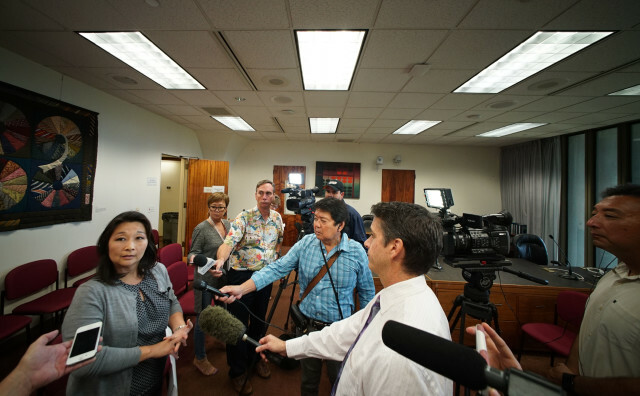 House Finance Chair Sylvia Luke cautioned that Hawaii’s tax revenue stream has slowed significantly. In addition to education, his priorities are addressing homelessness and affordable housing and pushing for ways to increase food production and to protect natural resources. Ige wants more than $123 million in new housing projects and $59 million for public housing improvements. He is also seeking $30 million annually for rent subsidies, support and outreach services. The Legislature appropriated $12 million for homelessness programs in the current fiscal year. The new requests add $8 million to that amount in each of the next two years. The Rev. Bob Nakata, a longtime advocate for housing and homelessness, said he was pleased with the governor’s commitments. 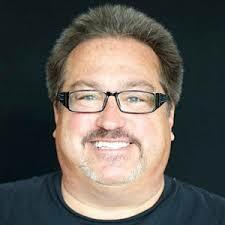 He was among the many advocates at the Legislature practically every day last session, worried that social service agencies would get shot down in the end. Ige also proposed putting more than $30 million toward agricultural and natural resources while $31 million in capital improvement project monies would be dedicated to sustainability initiatives, including $7.5 million for the state’s Watershed Initiative. Ige’s media aide, Jodi Leong, hands out the 2017-2019 proposed executive budget to reporters. The governor is an experienced hand at crafting budgets from his days as a state senator. He is as aware as anyone in the Capitol of the needs of the state and the revenue picture, and he has spent many years working with unions. He acknowledged that there is uncertainty at the federal level because of the election of Donald Trump as president. Ige said his administration is already reaching out to its federal counterparts and “doing homework” on what might be at risk under the Trump administration. But the governor insisted that his budget, which he called “the primary public policy document” as the vehicle to change the state’s trajectory, must be centered on education. “We know that quality education is the driver of a quality economy,” he said.